By now most all digital advertisers know of the power of Remarketing (a.k.a. Retargeting). Remarketing works because it creates a constant digital reminder to people who had previously expressed interest in the product or service that you provide. 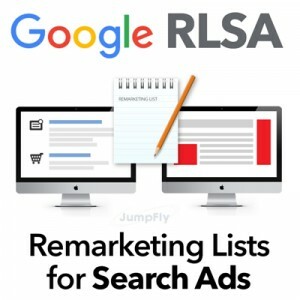 If you’re doing Remarketing already, Google AdWords RLSA builds onto the Remarketing backbone that you already have in place. It’s not a secret that most shoppers don’t purchase a product the first time that they visit your site. Many shoppers will visit your site and your competitors as they progress from research and eventually into the purchase mode. The fact that they’ve visited your site before and are looking again for your product is typically a strong indication that the shopper is closer to the moment of purchase. RLSA allows you to identify these past visitors, and then bid more aggressively for them when they do a search. Open up AdWords Editor and Enter CID or search by account name. Filter campaigns for Search Network Only. Go to Keywords and targeting under MANAGE, and select Audiences. Select all campaigns that you want to add RLSA to, click OK.
Remarketing Lists > Select the lists you want to add, click OK.
Click on Edit ad group flexible reach; Highlight all ad groups (Command+ A). Under Interest and Remarketing, select Bid Only (instead of target and bid). This is VERY important. Do NOT select Target & Bid as you will get far different results. Check that Bid Only is applied to all audiences by going back to ‘Audiences’ and seeing that each list has Bid Only under targeting. Check in the account again, under Audiences that the lists were applied to all campaigns with Bid Only. Set bid adjustments (positive or negative). Once the audiences are in place, you’ll be able to review the performance of these past visitors at any time by clicking on the Audiences Tab. Here you’ll see how these past visitors have performed and then compare their results to the performance of those who had not been to your site before. If you find that past visitors do perform well, increase the bid multiplier. If you find that they perform more poorly, decrease the bid multiplier. It is also possible to use RLSA as a way to filter out people who are unlikely to buy from you. Assume that your product is one that is generally purchased only once and never again. RLSA would allow you to exclude an audience of past buyers so that even if they were looking again, your ads would not show. A typical campaign that is restricted to Phrase and Exact match keywords only can be modified to include Broad match keywords as long as the shopper has already shown interest in your products/services by visiting your site previously. Visitors to a site’s golf shoes page(s) might be targeted again with more aggressive bids should those same customers now be looking for golf clubs. Look for cross selling opportunities like this to enhance the reach with shoppers who have a known relevancy to your business. Implementing RLSA is quick and easy, but using it wisely requires some thought. Reach out to a reputable PPC management agency today to discuss how RLSA can help improve your results. When it comes to targeting specific demographics, sometimes keywords are just not enough of a filter. But there is a hidden option to assist in this endeavor! 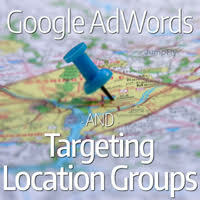 Within the Adwords location targeting group is a nifty little feature called location groups which allows you to more closely target specific groups, such as places of interest and household income. Although both features are not as robust as one may hope, they do add an extra level of targeting unattainable with just keywords. With this category the targeting options available are airports, central commercial areas (includes big malls) and universities. You start by choosing a location such as Chicago and then select one of the above three options. If you were to choose airports, Adwords will target any airport within that location area. You can also choose to go broad by targeting the entire US and in effect target every major US airport. In this particular instance Google suggests, but does not require, targeting Chicago by itself in addition to the airports within Chicago, and then increasing the bid adjustment for the airport locations. The reason given for this method is that getting granular can sometimes have the effect of unintentionally eliminating relevant traffic. The same theory holds true for central commercial areas and universities. The second option is locations by demographics which targets tiers of household incomes. Many clients are looking for ways to reach a higher income audience and this allows you some degree of control over the situation. The same caveat as above exists, in that getting granular can have the effect of drying up volume so it is recommended that you use this feature as a layer and increase the bid adjustment. What Google makes clear is that this does not target individual users but instead targets zip codes that fall into the income tiers based on IRS data and is available for the US only. Each of these options by itself may not be the best solution, but by integrating these groups as layers within your location targeting, you can gain greater control over where you spend your valuable advertising dollars. Monday now. You have likely heard the terms Black Friday and Cyber Monday, but do you know how to use pay-per-click (PPC) advertising to take full advantage of these events? Black Friday: One thing is certain; mobs of people will wake up at the crack of dawn, trek down to the store of their choice, push through the crowds and fight for the deal of the century. Are you prepared for that? Do you take part in that? Or do you simply stay home, watch the games and leave the chaos to others? However you choose to spend your day, you cannot ignore the fact that sales generated on Black Friday and Cyber Monday equal 25% of annual sales activity! Is your business ready? Are your PPC advertising campaigns ready? Cyber Monday, the kid brother of the Black Friday sales tradition, is only 4 years old and was brought to life by the National Retail Federation, in conjunction with www.shop.org. E-commerce retailers noticed a spike in volume after the busy Thanksgiving holiday. Is this simply a marketing tactic? Is it an illusion of massive online sales? Yes AND Yes – It is marketing and it is indeed somewhat of an illusion. Though these 2 days do typically account for 25% of annual sales, the busiest online shopping day is actually typically 2 weeks AFTER Cyber Monday. So brace yourself and your business for increased sales not only on Black Friday and Cyber Monday, but also for the weeks following as well. Also prepare for a new term to be invented for the day that does actually prove to generate the most annual online sales. While last year’s Black Friday and Cyber Monday sales results were a disappointment, economists have great hopes for a recovery this holiday season. You need to be prepared to make some changes to keep yourself in front of your shoppers. A professional PPC Management Company can help ensure that you maximize the results of your PPC Campaigns this holiday season. Below are a few details to follow to ensure that your PPC Campaigns are ready to capitalize on e-commerce opportunities for next week’s arrival of Black Friday & Cyber Monday. 2. 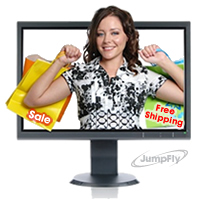 Reassure the searcher that you can get them the item in time for the holiday. 3. Clearly state your order deadline for promised delivery. 4. Increase your budgets to be sure you are not offline. 5. Check your ad delivery schedule. Google AdWords, Yahoo Search Marketing and Bing represent an amazing opportunity to reach your potential customers. Make sure your PPC advertising campaigns are ready for BOTH Black Friday and Cyber Monday!